Why Is Recycled Bean Bag Filling No Good for My Bean Bag? 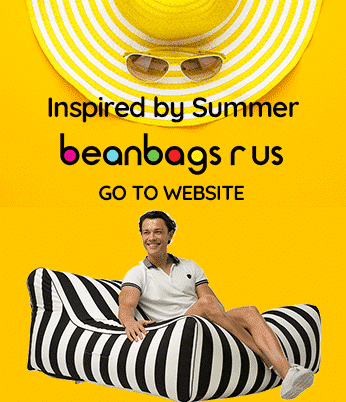 Bean Bags R Us NewsBean Bag FillingIs Recycled Bean Bag Filling Good for My Bean Bag? To get the most from your bean bags and bean bag furniture, you will periodically need to replace the filling. After several years, even the highest-quality product will begin to lose its fullness and bounciness. The right bean bag filling makes a huge difference. In an attempt to save money or be environmentally sound, some people buy recycled polystyrene beads for their bean bags. But they soon discover that this material has several drawbacks and does not compare to quality virgin beads. While bean bags may be filled with some materials that serve as beans, most of them are stuffed with polystyrene, also known as Styrofoam. Polystyrene was found to be the best replacement for actual dried beans because it is soft yet resilient, economical, lightweight, comfortable and water resistant. However, the quality of this polystyrene filling can vary greatly depending on how it was manufactured, how it was cut and whether it has been previously used. Virgin polystyrene beads are small, perfectly round and about the size of a pill, and they are specifically made to serve as bean bag filling. These beads are produced to have a uniform size and shape so that when they shift with the movement and the weight of a person, they provide equal resistance and support in all directions. Also, the beads are denser than other polystyrene products are, which gives them a longer usable lifespan before they become flattened and lose cushioning. Virgin beads are recommended by most bean bag manufacturers for several reasons, but the most important is that they provide customers with the highest degree of satisfaction. Very few companies that make bean bags fill them with anything but quality virgin beads. If they did otherwise, their customers would be disappointed in their products’ discomfort and how quickly they lose their original form. Virgin pellets are very resilient, and this can be evidenced firsthand by just squeezing one between your thumb and forefinger. You will notice that the bead is firm yet soft, and it quickly returns to its original shape. It takes extreme pressure or high pressure maintained for long periods before the bead permanently loses its form and resiliency. Recycled beads, sometimes referred to as eco-beads or eco-beans, are often purchased to promote environmentalism or save money. Essentially, this material is recycled polystyrene that has been cut or ground into small, irregular particles. While some of these pieces are vaguely round and pill-sized, most of them are abnormally shaped chunks of Styrofoam that are extremely soft but hardly resilient. Recycled beads were never meant to be bean bag filler. Most of them were once packing peanuts or packing blocks used in shipping boxes for electronic devices, computers, and other products. When they are used in bean bags, the beads do not produce even pressure on their neighbours, which makes the furniture soft, lumpy and otherwise uncomfortable. Also, they do not provide the same ergonomic support as virgin beads do. When you sit or lie on a bean bag chair or sofa, it should gently conform to the shape of your body. But after doing so, it should provide even resistance across all parts coming into contact with the cover. This is the whole point of bean bag furniture: comfortable support. With reused beads, you will find yourself sinking deep into the bean bag, and this does not only cause discomfort but may also cause pain, stiffness, and other medical symptoms. Another downside of recycled beads is that they do not hold their shape. In some cases, this cheap filling will become entirely flattened in a single month, and no one wants to sit on a hard, flat bean bag. Any money you save on this filler is lost because you have to buy it two, three or even four times more frequently than virgin beads. Repurposed polystyrene is an inferior filling for several other reasons. It is often very noisy when sitting or adjusting your position because the irregular pieces rub against each other and shift awkwardly in the cover. Also, these beads may damage your bean bag. The pieces easily break into tiny fragments that get stuck in the zipper. When you need to buy replacement bean bag filling, it is best to take a look at the facts and buy virgin beads that were designed specifically for bean bags. They are stronger, more comfortable and, in the long run, cost you less money.